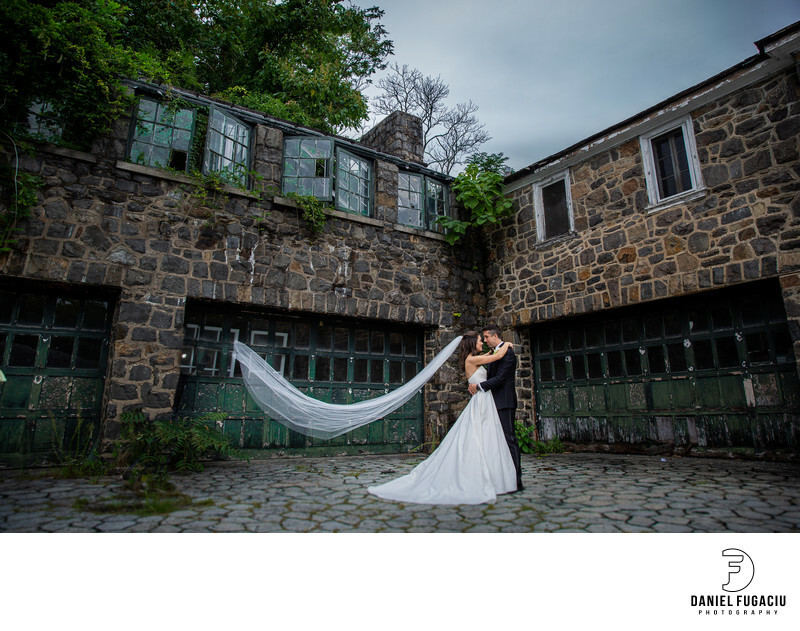 Bride and groom hug tight at Gibraltar Gardens in Wilmington, DE and the wind blows the veil. This wedding portrait was taken right before their ceremony and reception at Hotel DuPont in Wilmington. Location: Gibraltar Gardens in Wilmington, DE.